Working TimeMon - Sat : 08:00AM. - 05:00PM. POOLPHOL ENGINEERING is specializing in bakery, breadcrumb & dry blending processing solutions for virtually every food industrial business. Customer requirements from individual units to complete ‘turn-key’ plant installations can be accommodated using the expertise accumulated from years of experience gained with the food. We have fast become one of the most experienced suppliers of bakery, breadcrumb & dry blending processing equipment. We are provided and fulfilled all the expertise knowhow in Bakery, Breadcrumb and Dry Blending technology to serve the best solution with Valuable Price, Best Service and Quality of Work. 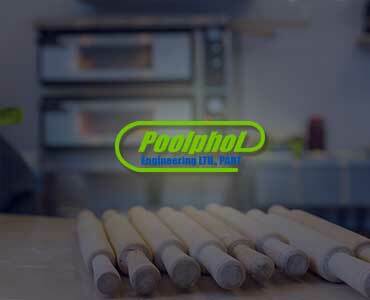 Poolphol Engineering is specializing in bakery, breadcrumb & dry blending processing solutions for virtually every food industrial business. Customer requirements from individual units to complete ‘turn-key’ plant installations can be accommodated using the expertise accumulated from years of experience gained with the food. 08:00 AM. - 05:00 PM.